Whether you are jetting off to an exotic destination for your special event or hosting a large number of out of town guests in your own hometown, infusing local ingredients and flavors into your menu is an excellent way of personalizing your celebration. A menu is an opportunity to share with your client and their guests something unique about a region’s culture and landscape. It’s one thing to sightsee and another level of experience altogether to savor the traditional recipes and food preparation styles of a region. In New Orleans, no event is complete without shrimp and grits. In the West, tacos with a variety of fillings are staples at every event. Chefs in the Northeast pride themselves on serving local seafood and the Northwest is home to some incredible farm-to-table produce. Sharing a region’s ingredients and its local cuisine adds dimension to events that increase guest engagement and overall satisfaction. One station or an entire menu? 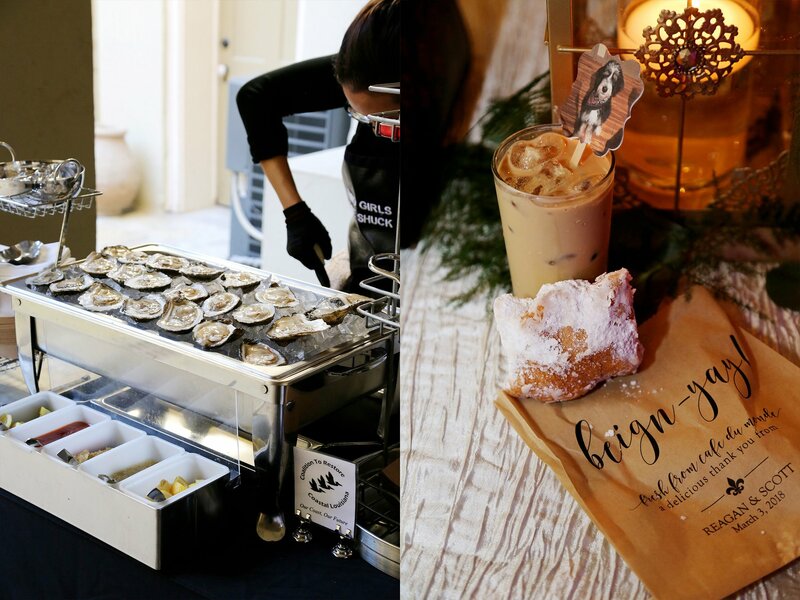 While you can theme an entire event with local flavor, you can also be selective about including opportunities to taste some of the dishes associated with a region. Stations can be varied to avoid overwhelming guests with too much exotic fare. In NOLA, we offer shrimp and crawfish on a pasta station but always include more simple pasta and toppings such as meat sauce and cheese for those guests who are not as comfortable with our cuisine. You don’t have to turn the entire event into a fiesta, a crab-boil, or a luau—simply use local ingredients throughout your menu, and sample-size local delicacies as finger foods during the cocktail reception. If a locally-infused menu is a priority for you and your client, make sure that you are working with a caterer who can accommodate before signing your contract. Some caterers have set menus and specialties and may not be ideal candidates for presenting the kind of cuisine you or your client envisions. Weddings are natural events for incorporating hometown favorites as they reflect the culture and backgrounds of the couples everyone has assembled to celebrate. 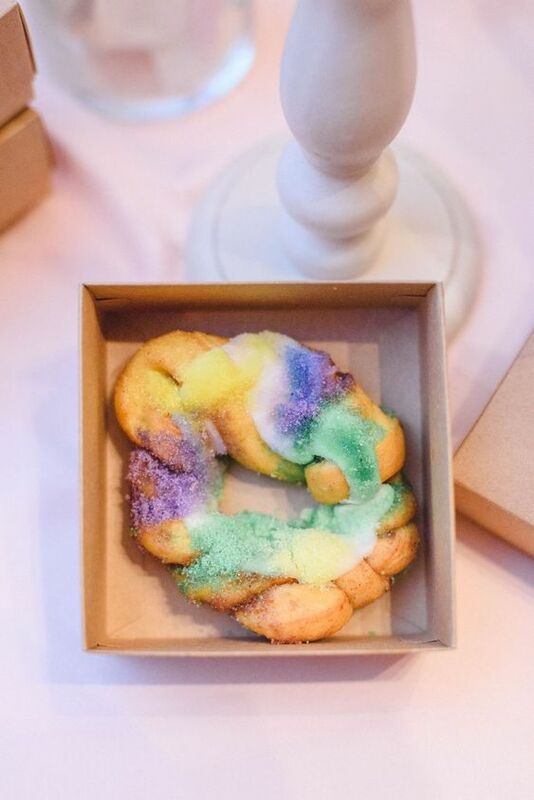 In NOLA, we try to offer guests many glimpses into life in our home including live local entertainment, completely unique area traditions and, of course, our world-renowned specialty cuisine! Don’t feel like regionally-inspired menus are limited to just personal celebrations, though. Corporate events are great opportunities to offer guests the experience. Companies often choose destinations to expose their employees and guests to an area and value the local touch. Infusing your locale into your menu is an excellent way to design richer, more dimensional events. Get creative with your menus and make a big impression on your clients and their guests. A great meal endures as a memory for years to come. Interesting in learning more about trends and events? Click here for the latest information on Catersource 2019, in New Orleans, LA!